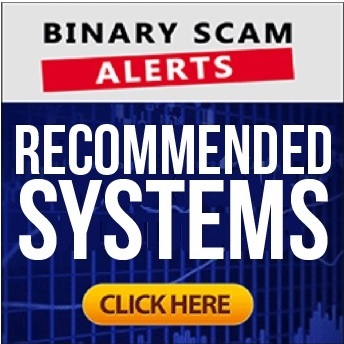 Binary Scam Alerts » Broker Reviews » BDSwiss Review, Is Banc De Swiss a SCAM or Legit Broker? Welcome to our official BDSwiss broker review and scam investigation. If you have been scammed by BDSwiss (Banc De Swiss), or alternatively if you are searching the internet for a fair and honest review of this broker, then you are in for a rare treat. Initially we received some complaints and were about to blacklist BDSwiss, but after a closer look and examination of the facts, we found out this broker was totally legit and does not steal money. Swiss Markets and BDSwiss are owned and operated by the BDSwiss Holding Plc. Simple signup process. The initial stages require the basic name, address, email, phone number, and password. After that you are directed to the cashier section of the software in order to fund your trading account. The BDSwiss website as well as cashier is HTTPS Secure, which means your information is kept private and all transactions are encrypted by a 128 Bit SSL layers. In layman’s terms this means when your credit card is charged there are added security levels on it which keeps the information hacker-safe. From an operational perspective, since this is a regulated entity we are dealing with an organization which is PCI compliant. This means the credit card information is stored on a secured server by a third party specifically licensed for this type of task. The available payment methods include the standard Visa and Mastercard (debit as well), but also Skrill (Moneybookers), Sofort, EPS, Giropay, Neosurf, and Paysafe Card. You can also cash out winnings to your credit card and E-wallets, and that is an unexpected and welcome surprise. There are two types: Basic and Black. The former has an average spread of 1 and the latter of 1.3. Leverage and lot sizes are similar, but on high deposits of $10,000 or higher no commissions are charged. BDSwiss offers a 25% Bonus on any deposit up to €4,000. In their bonus policy, we do not see a clear indication of how many times the bonus must be traded in order to cash out. What we do understand is that once the trading volume is reached the bonus amount is deducted from the winnings and you are able to cash out once your account “stops-out”. Because the bonus policy is not very clear we advise you NOT to accept any type of free incentives as this will surely lock you into a trading requirement and hinder your ability to withdraw money. Dormant Account Policy: If you are inactive for a period of 12 months or over, your account will be locked and you will not be able to access your money. This broker has courses, lessons, and live webinars designed to teach you the ins and outs of the software. Its extremely robust and I must say one of the best and most professional our team has seen. Use your smartphone, iPhone, iPad, Android, IOS, handheld device, laptop, or tablets. This software is totally mobile friendly as you can see below. It even offers a free MT4 Terminal for MAC, Windows, and Web Trader. These include currency pairs, Classic Binary, OneTouch, Ladder, boundary and OptionBuilder. There are about 150 assets including a variety of stocks, currencies, indices, and commodities. We were able to find Nasdaq, DAX-30, AUS-200, Gold, GOOG, Silver, APPL, S&P500, and COKE, as well as the safe haven pairs like EUR/USD and USD/GBP. Less traditional assets like Copper, Cocoa, and Cotton are also available if you are interested in a bit of diversification. On CFD’s you have NAS100, NDS_25, NOR_25, SPX500, and US30 . For Forex you have AUD/USD, GBP/USD, EUR/USD, USD/CAD, as well as other currency pairs. Customer Service: The service is great, as well as extremely professional and courteous. Not too pushy at all and very informative and easy going. The hot scams to avoid are Quantum Code and TAI Robotic. Review Summary and Conclusions – is BDSwiss a Scam? BDSwiss is a highly regulated and totally legit broker offering CFDs, Forex, and Binary Options. They even offer multilingual support in German, Italian, French, and Arabic. So if you get stuck and don’t quite understand how to proceed, they will assist you immediately. The people behind it are not crooks and adhere to the strictest guidelines of compliance, anti-fraud, and anti-money laundering laws. If you believe you have fallen victim to BDSwiss and disagree with our conclusions, feel free to leave a message below and share your experience. As always, we invite you to join our Facebook group and subscribe to our YouTube Channel to receive periodical updates.